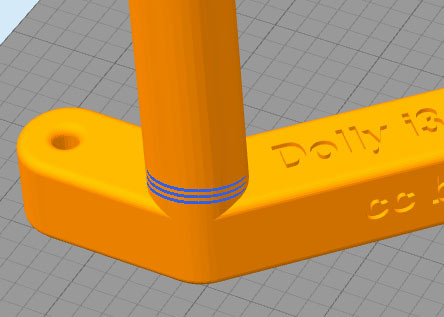 Hi i know there is already one for the dolly i3 on thingiverse. tomorrow i will do a testprint. It is for 6,5cm standard 1kg spools and there is a adapter for 500g spools. The layer lines are always the weak point of a print, so you want to avoid placing any pressure on them. 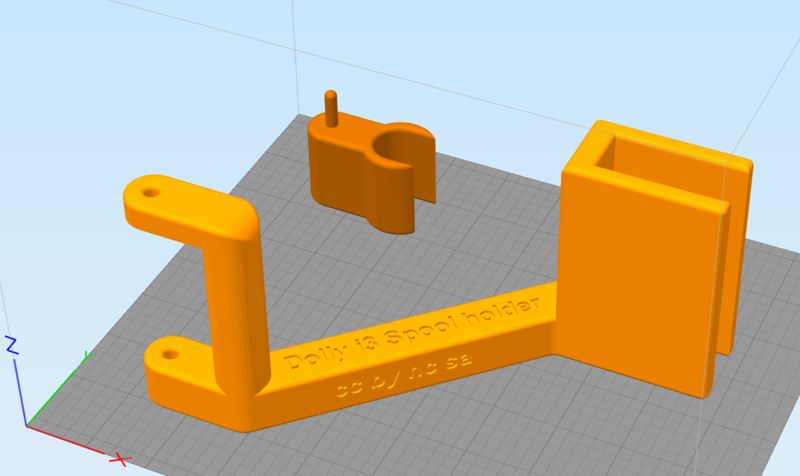 If you take a look at all the highly-rated spool holder designs on thingiverse they are all printed such that the weight of the spool pushes parallel to the layer lines. 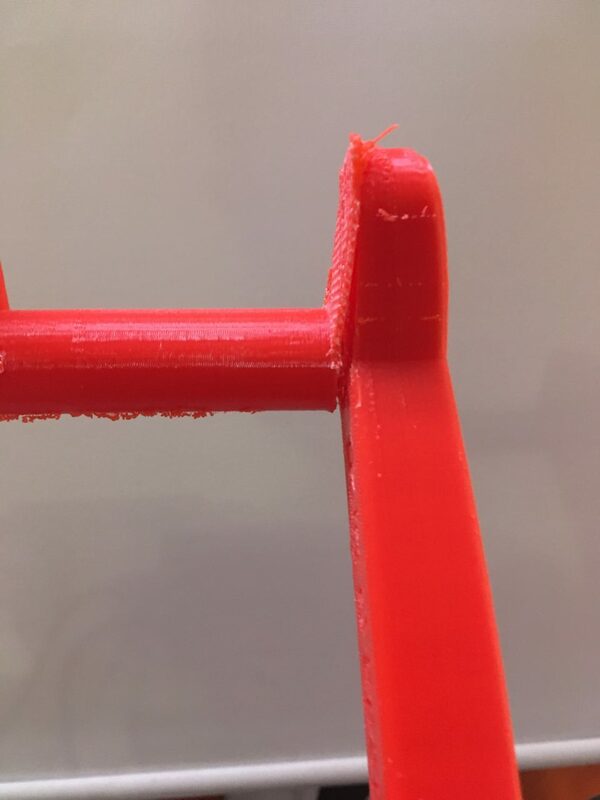 Of course, it's hard to avoid this when the whole spool holder is printed in one piece, because one part of it inevitably ends up becoming the weak point no matter how you orient the print. That's why they are generally printed in multiple parts (and this also allows one to adjust for different spool sizes using different parts). On the other hand the holes for the nuts and the screws which i put in printed to small. It's very common for holes to come in too small as the filament oozes slightly while cooling, I almost always end up drilling out holes after printing them. 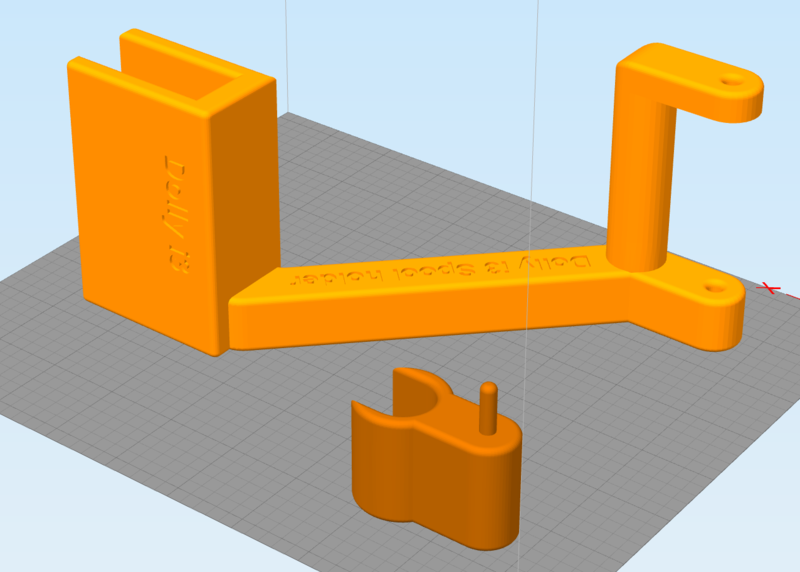 i printed out a case for the mks sbase based on the prusa scad file an it came out perfect. A fillet may go a long way in spreading out the load in the one piece design. I built a one piece spool holder with the same orientation and it has been holding up well (ABS, 250C). Layer bonding took priority over appearance. Just keep in mind that sharp "joints" are stress points. Nice. Was that with my customiser?